Sometimes you may not be able to reach your server the usual way (with SSH). That’s where KVM comes in handy. When you have locked yourself, KVM over IP is a second door to enter your server safely. We offer a dedicated KVM to each dedicated server. Your KVM allows you to control your server at BIOS level. We will explain the commonly used functionalities below. 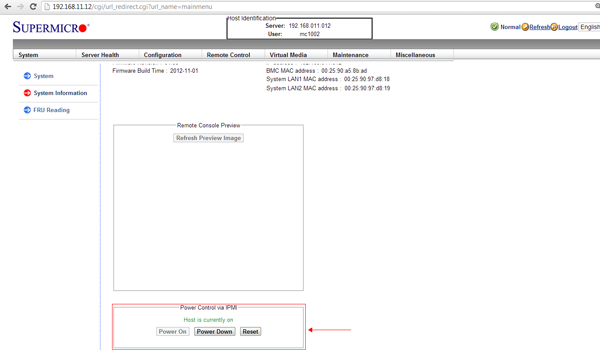 In order to use your KVM you need to log into your SnelPanel account. 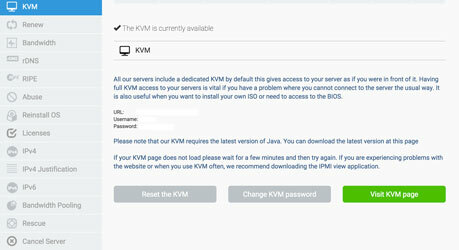 Once you are logged in you need to visit the KVM page through your dashboard. Now you need to enter your username and password. You can find these details on your the KVM page. One of the most frequent used functionality of your KVM is the Power control feature. This feature is useful when you need to control power and shut down your server. 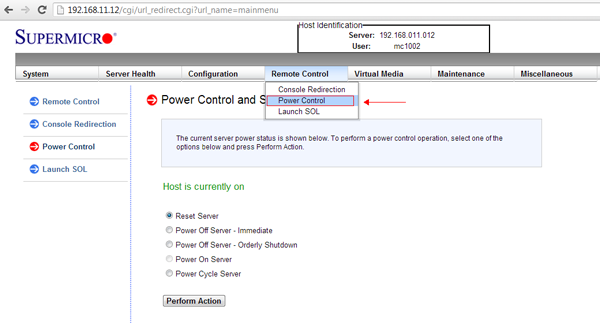 In order to perform power on, power off or power cycle your server you need to click to the button in the red box. You can also perform this action in another way. You can click to Remote Control > Power Control. Now you are able to see more Power actions. 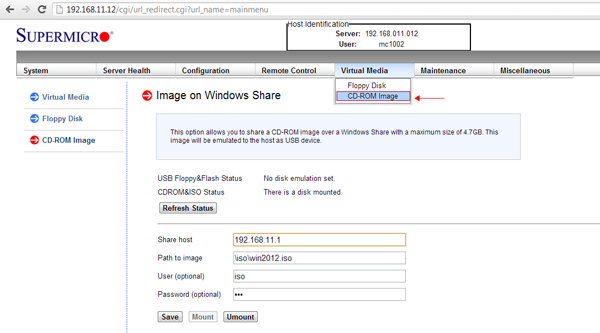 In this section you can mount your CD-ROM image for OS self-installation. Once you are ready click to “ Mount” to attach an ISO image. You will see a pop-up. Click “OK” to confirm message.